The trailer of ALTBalaji’s upcoming web series titled X.X.X was released at the at a nightclub in Mumbai. 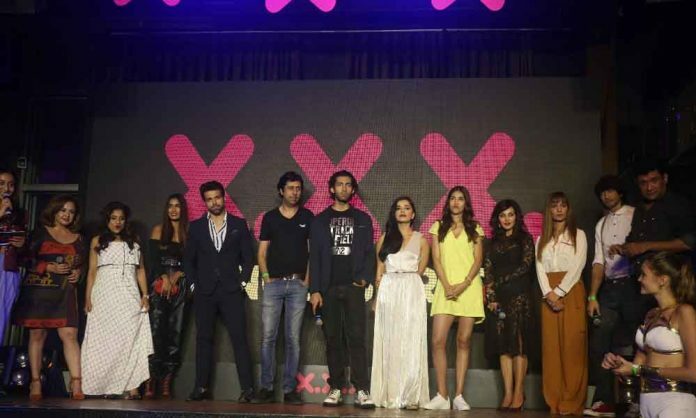 The evening witnessed the sexiest party of the season as the trailer of ALTBalaji’s upcoming web series X.X.X. released amidst the hottest cast for a web show ever! The trailer launch event was attended by the entire star cast which includes Shantanu Maheshwari, Ankit Gera, Ritvik Dhanjani, Kyra Dutt, Meherzan Mazda, Aparna Sharma, Aparna Bajpai, Aadar Mallik, and Sneha Arun including director, Ken Ghosh. Touted to be India’s first youth erotica, the web series is sure to garner eyeballs and generate excitement amongst the audience and the trailer promises exactly the same. ALTBalaji has carved a niche for itself with cutting-edge original content. Known for their bold and contemporary shows like DevDD and Ragini MMS, ALTBalaji yet again presents an interesting series that will definitely connect with the youth.